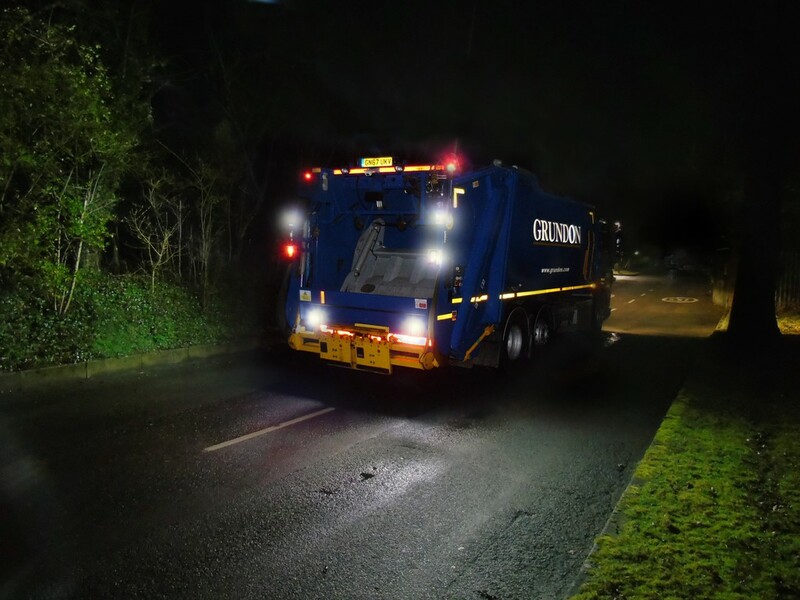 Grundon, one of the UK’s leading suppliers of integrated waste management and environmental solutions, has fitted a new lighting system to its vehicle fleet for improved visibility during night time work. Designed and supplied by Labcraft, the Banksman light is positioned on each side of the chassis and produces a bright carpet of light around the vehicle when reverse gear is engaged. To this end, the Banksman projects a white light at a 90-degree angle from the vehicle sides onto the surrounding area and illuminates up to 30 square metres. Plus, the high-intensity Cree LED lamp is waterproof, hard wearing and guaranteed by Labcraft for 5 years.